Jia Yuh Enterprise Co., Ltd.
We cumulated our product by forty-years-experience brewing condiments, and we deploy it abide by our traditional methods. The course of making is scientific and healthy. 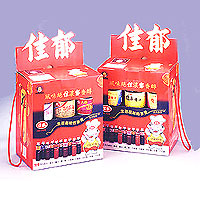 His product won the gold medal 1993, 1994, 1995, The belief of Jia Yuh is always healthy, sanitation and high purity. 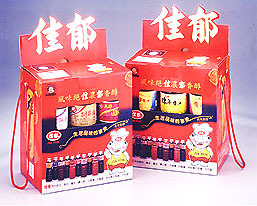 Now we produce Jia Yuh, it's the best choice for personal use or a gift to present.